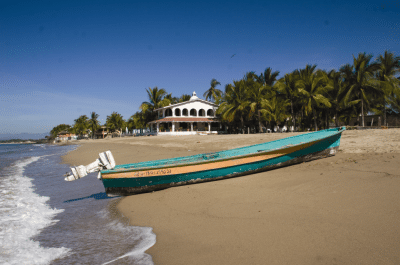 Moving to Riviera Nayarit is a good option for many expats looking to retire early or wanting to experience a higher standard of living on a limited retirement income. The main reasons for considering moving to Riviera Nayarit is to improve your quality of life and the cost of living, or perhaps to just leave the “rat race” behind. Several things should be considered before moving to Riviera Nayarit. New Country – You’ll be moving to a new country with a different language, plus different culture, laws, environment, and climate. Many of the things you may be used to might not exist here, or, if they do, are strangely different. It’s highly recommended that, before taking the plunge and moving to Mexico, you spend an extended amount of time as a visitor first, especially in the hot summer months. Languages – Speaking the language, which is Spanish, is probably the one most helpful abilities you should aim for. A number of Spanish speaking classes are available here as well. 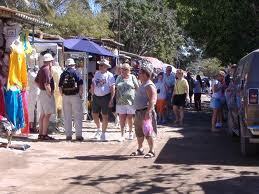 People of all ages are moving to Riviera Nayarit – Nayarit Mexico is not just a haven for retirees. Young people are seeing the benefits of escaping the traditional 9-5 in the North American cities and designing a more fulfilling, relaxed lifestyle here in Mexico. Continue reading for our insightful discussion with a young expat who shares her experiences and thoughts on working remotely in Mexico, escaping the traditional path, and enjoying a new lifestyle. Mexpat is a 31 year old woman who is happily married to a fellow wanderer and the proud parent of one black lab. She grew up in North Carolina, but lived most recently in New Jersey before moving to Mexico. Mexpat and her husband run a software and web development company that services clients mostly in the USA and Europe. Today we are very lucky to have Mexpat, author of the top Mexico Blog – Mexico or Bust. As our guest Mexpat will discuss her experiences as a young person moving to Mexico. My first question is why, at such a young age, did you decide to move to Mexico? We were already stuck in the rut that we saw so many of our friends in: School, Marriage, House, Cars… the next thing on the list was having kids. A couple years ago we decided that we weren’t sure we wanted to be stuck in that rut for life, so we started taking scuba diving vacations and assessing whether or not we could live in each location. We narrowed it down to Cayman Brac or Cozumel, Mexico. 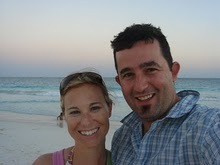 A few other things came into play and later we chose Playa del Carmen over Cozumel. I had studied Spanish nearly all my life and was as fluent as I could get staying in the US, so Mexico had more appeal to me than the Caymans. My husband is an avid cave diver (I occasionally accompany him, too) and the Yucatan Peninsula has some of the best caves in the world, so it wasn’t hard to get him on board. Then things started to work out with our business in a way that made it possible for us to work abroad. Finally, I told my husband that there had to be more to life than working to pay for our mortgage, so we were either moving to Mexico or having a kid. That kid ultimatum works every time! I guess the bottom line is that neither of us was willing to wait until retirement to have this adventure when we could do it now. Who knows what sort of health problems we may face in our old age (God willing we reach old age)! It wasn’t by accident that we structured our life and company to work from abroad. We are entrepreneurs on purpose. Besides, two weeks of vacation a year is not enough! 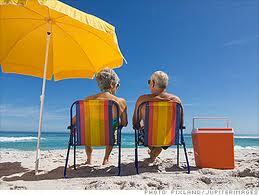 Since you are not living off retirement, how do you afford to pay for living expenses? In what ways has your lifestyle changed when you moved to Mexico? One of the biggest ways my lifestyle has changed is that now I live in proximity to the things that I enjoy doing. Pretty much everything is in walking distance: yoga classes, Spanish lessons, the gym, the beach, meditation classes, coffee shops, restaurants and bars. In that respect my life has gotten simpler, I no longer have to drive 1/2 an hour to do the things I want to do. Neither of us are pack rats, but somehow we had managed to accumulate a lot of stuff over the last 7 years. It was really cathartic to get rid of most of our stuff. Now we are enjoying apartment living again and trying to keep our “stuff” to a minimum. In the US shopping is a regular pass time and everything in the media is set up to make us think we need to buy whatever they’re selling. It’s not like that in Mexico at all, so we’ve enjoyed being away from that pressure and the insidious marketing messages. They still bother us when we go back to visit, though. Somehow, living here, it’s become completely unimportant to me to have a Blackberry or a nice car. I probably work less here by choice, but working less means earning less. Unfortunately, Playa del Carmen has a higher cost of living than other Mexican towns, at least according to what I’ve heard other expats report regarding their expenses, but it’s still more affordable than life in New Jersey. We aren’t sure how long we’ll be here (”as long as it works” is the plan), so part of being here is enjoying the opportunities that exist. I could work the way I did in the States, but that’s so much easier when it’s miserable outside. I take more time out for me here, whether it’s exercising or just reading a book at the coffee shop. Saturdays are for laying on the beach and Sundays are for diving! What was the biggest adjustment you had to make when you moved to Mexico? The biggest adjustment for me was having to assume all the responsibility for things outside the house. In the States, my husband was the one who would call the Cable company or the Gas company. Since he speaks very little Spanish, I am the one who has to make all the arrangements. At first, it was very hard for me to get used to my new role, plus it was difficult to anticipate the questions that my husband would want me to ask. It led to a lot of, “Well did you ask him ____?” Followed by complaints about my translation services. It took us a while to figure things out, like paying bills, but after I did them once I was able to tell him how it works, my husband was able to do them by himself. Likewise, one of my husband’s biggest adjustments was getting used to his newfound sense of impotence in certain situations due to his lack of Spanish. He was often extremely frustrated with not being able to communicate directly with Mexicans who didn’t speak English. He’s getting better at taking it in stride and I’m getting better at translating for him. He’s also learning Spanish slowly and, luckily, isn’t afraid to use what little Spanish he knows. He certainly isn’t afraid to make mistakes, which has led to some pretty funny ones! Another huge adjustment I had to make was understanding that sometimes people will make plans with you and just not show up. Where I grew up, if someone stood me up I would be angry and wouldn’t invite them out again. Here it’s culturally acceptable to pull a no-show. I had to learn to take it in stride, and/or let the person know that I wasn’t ok with being stood up. I have heard that the longer you live here, the more likely you are to act the same. Yes, the weather can’t be beat, better than nearly any other place North Of The Border (the acronym NOTB will be used in the rest of this page). The winters are wonderful, in the summer it’s hot and humid with brief downpours of warm rain, very similar to Miami Beach. Less expensive, but, depending on your lifestyle, it will vary. If you come down and want all the amenities you had back home, your savings won’t be a lot. If you choose a simpler life, with a few or less conveniences, you will save a bundle. Before moving to Riviera Nayarit Mexico, we recommend that you vacation here first. See our about Riviera Nayarit page for additional information.